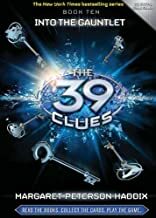 The explosive finale to Scholastic's mega-selling series.Throughout the hunt for the 39 Clues, Amy and Dan Cahill have uncovered history's greatest mysteries and their family's deadliest secrets. But are they ready to face the truth about the Cahills and the key to their unmatched power? After a whirlwind race that's taken them across five continents, Amy and Dan face the most the difficult challenge yet- a task no Cahill dared to imagine. When faced with a choice that could change the future of the world, can two kids succeed where 500 years worth of famous ancestors failed?